It's now the end of another month September when Reward is tend to be presented to our Top Best Contributors of the month. It's of no doubt MasterGBlog made this notice Public on the blog header since the end of last month August. Moreover, Last month August we were unable to share rewards due to Inactive of Contributors on our post updates, but we thank God for the improvement this month. As stated in my first paragraph, This reward is only for the Top Most Active Contributors for September 2017. Let this be at the back of your mind that, We are doing this to encourage people who sets aside a few minutes to visit and drop tangible comments on each post updated on this blog Mastergblog.com.ng. This is the reason behind why I should beg each and everyone of us to subscribe to our Mobile Push Notification, Subscribe to our Twitter Mobile Free Sms, Like Our Facebook Page & Group in other to get notified of our new update even when you are offline. See Guide here. Back to the Reward; I will give out free Airtime Recharge which will be appointed to just one Top Most Active Contributors for the month of September 2017 on MasterGBlog. 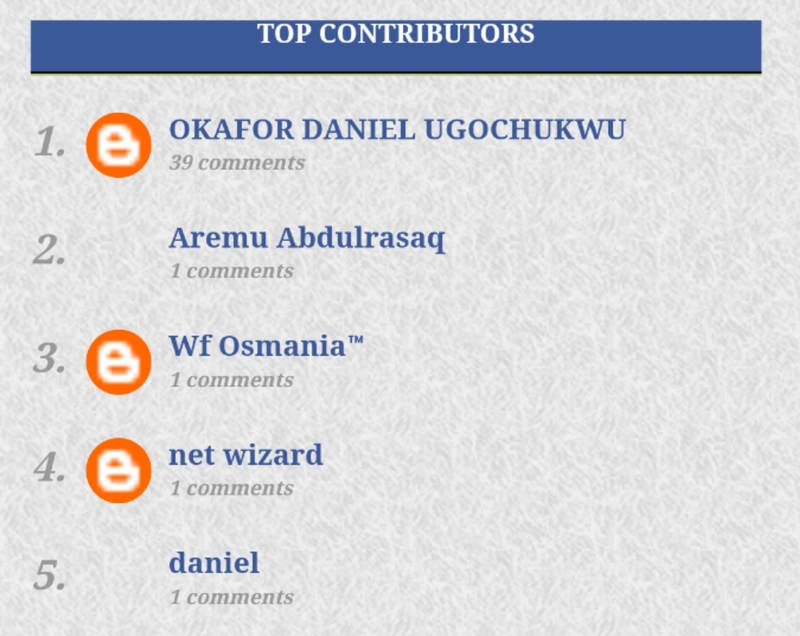 In fact, Okafor Daniel is really an active contributor that always like to contribute to MasterGBlog post updates (One of his sponsored post was 3 Reasons Why Android is Superior to iOS), he made 39 comments for the month. In lieu of this, kindly drop your phone number and the network in the comment box below to receive your reward ASAP. HOW CAN I JOIN THE NEXT MONTH LIST AND GET REWARD ALSO? It's extremely straightforward and clear. You should simply drop comments on post updates on this blog Mastergblog.com.ng. 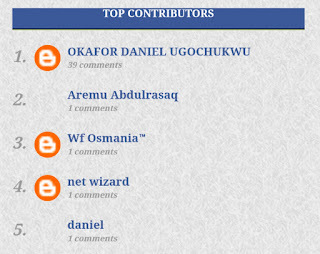 Contribute on posts you know you can, this will surely increase the value of been among the next reward list. NOTE: Ensure you do use your Google account (GMAIL) while commenting. Additionally, spamming comments or duplicate comments on same post will be erased or your name might not be shortlisted in our next reward. Do you wish to get notified of our posts even when you are offline? Just text Follow Mastergblog to 40404 on any network, you have nothing to loose in the sense that SMS charge and delivery is totally free!!! PLEASE TAKE SOME SECONDS TO SHARE THIS POST WITH FRIENDS; THEY MIGHT ALSO BE PART OF NEXT REWARDING LIST. Am very happy OGA, here is my MTN number 08164651003. Your airtime has been sent. Check your balance!